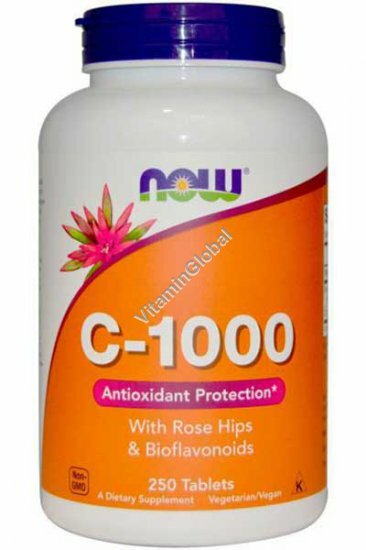 Vitamin 1000 mg C with added rose hips continues to be one of our most popular formula. When taken regularly, this safe and gentle supplement can serve as a superb catalyst to overall wellness and healthy immune function. Free of: sugar, starch, salt, yeast, wheat, soy, milk. Other Ingredients: Cellulose, dicalcium phosphate, magnesium stearate, stearic acid, vegetable protein coating.